Keep up the good work posting memes in the comments. If you saved a meme from our page and then posted it in the comments on that same meme, there is a pretty solid chance that you will not see your meme in one of the fan dumps. The featured image meme (my personal favorite from this batch) is first in its entirety, so no one thinks we were creeping out on a 14 year old. She does have a pretty nice iPhone though. Ryan had the most memes this time around (7) and David provided the featured image. Most of you probably won’t see this, because a dramatic change has been made to FB where “low value sites” aka TTG don’t have their links show up in the newsfeed. I’m only writing this because a content check will look at this page and determine the content to be worthless if there isn’t enough text. Running out of ideas. Exactly where you thought this was going, right? The 2nd part of these are in a new format to give our fans the ultimate reward for submitting their memes in the comments (this didn’t end up working out very well because it’s hard to harvest the memes when they are screenshots). Instead of just using first name, we’re screen capping the memes we like and the ones with the most likes on each post. Keep on posting, and don’t forget to check the site to see if you have received the ultimate reward. Also, if you haven’t seen our shirts, yet, you need to get on that, the shirts are LIT and getting LITTER. 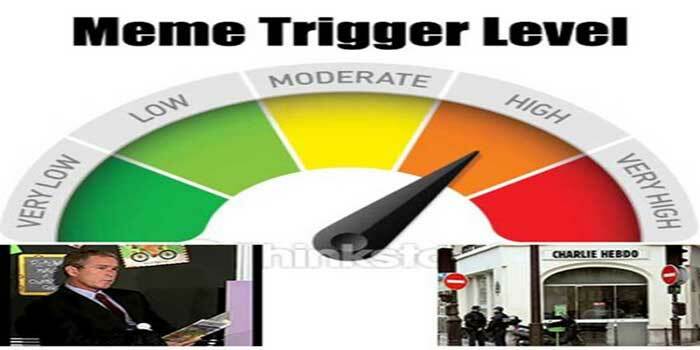 Please rate your meme experience with your color coded trigger level. Here are some new fan memes from the last few posts on TTG. We really appreciate all the love the new site is getting, and we’re always happy to have the best fans on the internet who fuel the meme fire. Anthony was the clear winner today with 5 memes selected, but Garrett also get honorable mention, and special participation trophies to everyone who submitted memes but was not picked to be featured in this edition of Fan Submits!